Cat pain control, both traditional and alternative cat medicine options are often needed to help a suffering feline. The most common signs of a cat in pain include lack of appetite, lethargy, hissing, growling, a change in grooming activity, a lack of socialization and accidents. Cat health care information is readily available online but in many cases your veterinarian will have to prescribe pain control medicine. Cats are notorious for hiding themselves as well as hiding their pain rather than giving a clue to something being wrong. The use of cat pain control medicine is most common in postoperative or acute situations. Surgeries for fractured bones and damaged muscles that necessitate a large surgical incision and the spay procedures for neutering female cats might involve a follow up course of pain medicine for cats. A vet may prescribe analgesics on a fixed dose schedule for one to three days for cat pain control after surgery. It used to be thought that cats didn’t feel pain following surgery or if it did cause discomfort, it kept them quiet. How archaic! It is wonderful that cat pain control management for cats has advanced in leaps and bounds in the last ten years, with new drugs and new techniques available. Veterinarians have a far superior understanding of how most drugs work and why a combination of therapies is often better than one drug alone. Untreated pain decreases quality of life and today’s medications eliminate that aspect…raising the quality of life even in the face of chronic diseases. 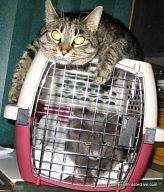 Cat pain control should always involve a veterinarian who is always consulted before any medication is given to a cat. Cats are different when it comes to how they process drugs. After a cat gets a drug (a pill, an injection, or a topical application), the chemical components of the drug are absorbed and then metabolized by enzymes—proteins that modify and speed up chemical reactions within the body. These chemical reactions are crucial because they convert the fat-soluble drug into a water-soluble compound—the drug’s waste product—which the cat can then excrete in its urine or feces. However, cats have trouble metabolizing and eliminating certain drugs making cats more susceptible to drug-related toxicity than other animals. Cats are much more vulnerable to the toxic side effects of certain drugs than either people or dogs, for example, drugs that contain acetaminophen such as Tylenol can cause a lot of trouble because the particular enzyme that’s supposed to do the job is either at a low level or possibly absent. When the cat can’t eliminate the drug residue in a timely manner, the accumulation can be very serious…even causing death. However, properly administered drugs can be instrumental in cat pain control and a cats’ recovery from illness, in treating a chronic condition or in saving a feline life. Most veterinarians are well versed in feline drug therapy so it is rare for them to have problems. If a problem does arise it is usually due to one of two reasons: either a drug acts in a more exaggerated (augmented) manner than it should; or a particular cat has a bizarre response to the drug. There is now a cat pain control medicine called the Duragesic patch, which is applied to a shaved patch of skin on the cat’s chest like you would apply a Band-Aid. Fentanyl, a synthetic opioid was FDA approved for humans in 1990 in this form of the Duragesic trans-dermal patch and has been prescribed regularly to treat cancer pain and chronic pain in humans. Fentanyl patches are not FDA-licensed for use in pets but veterinarians began to use the patch more recently for cat pain control with some success. The patch is designed to deliver fentanyl through the skin at a controlled rate for a continuous period of time. Veterinarians use this narcotic to alleviate post-surgical pain in pets and to treat the pain of terminal cancer. It is far stronger than morphine. The medication reaches the blood stream, accumulates to a therapeutic level, and provides constant pain relief as long as the patches are replaced every 3 to 5 days. Like other analgesics that are used for felines, there are pros and cons in the use of the Duragesic patch. Since the patch only needs to be replaced every 3-5 days, minimal maintenance is required. The owner is able to change patches at home so office visits aren’t needed except follow-up visits. The Duragesic patch has been found to have fewer side effects than other opioid drugs. The delivery of the medication into the blood stream is continuous, maintained at a constant level, so the cat pain control remains continuous without the usual 2-4 doses a day and without any middle of the night doses needed. The patch is non-invasive and eliminates the need to restrain cats for injections, or to change bandages or catheters. Fentanyl does have side effects. Usually the side effects happen in a very small percentage of cats, but they do happen. They include mood changes, constipation, dry-mouth, nausea, vomiting, respiratory depression (there is an antidote for these effects-- Naloxone), confusion, sedation, lightheadedness and weakness. Because of the unknown aspect of how each cat will react to the drug pets are frequently hospitalized under close watch for the first 48 hours of beginning the patch or the dose is started very low and only increased very gradually over a period of weeks. Being a federally controlled substance, there is a lot of paperwork involved for your veterinarian and you will have to take the prescription in person to your pharmacy. The patches may cause irritation to the skin where they are applied so a soothing ointment is an option. The Duragesic patch must be stored with care because each patch contains a five day supply of narcotic medication, an overdose would be likely if the cat were to bite or chew on an unguarded patch. Owners must also use caution that the patches do not get into the hands of children. Cat medicines for cat pain control are usually given only in the vet’s office. It is rare for a pet owner to be sent home with follow-up pain medications. Because there is a broad spectrum of vet attitudes toward prescribing analgesics, you have to be your cat’s advocate when it comes to cat pain control management and obtaining the cat pain medicine. When you select a vet ask about the clinic’s pain management policies. Discuss what actions will be taken in the case of unanticipated pain. If or when your cat requires surgery, ask your vet about the “after surgery” plan for handling the pain. If you vet expects your cat’s suffering to be significant enough to warrant analgesics, ask which medications will be prescribed and for how long. There are different types of cat pain medicines to help with cat pain control and although we expect the doctor to know best, it’s still a good idea to familiarize yourself with the basic types of pain medication being used and prescribed in traditional small animal practices. Opioids are usually given orally or by injection sometimes combined with a low dosage tranquilizer. This is what the Duragesic patch is. Epidural Opioids is a practice of administering opioids via a catheter in the epidural space for posterior or abdominal procedures or fracture fixations. 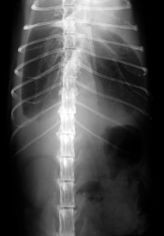 This epidural treatment has potential risks including a chance of accidentally puncturing the membrane that surrounds the spinal column, post-operative infection and the possibility of the cat removing the catheter by biting it. NSAIDS (non-steroidal anti-inflammatory drugs) are aspirin-like drugs, used in certain cases and given orally (hidden in food if needed) or by injection. NSAIDS work by blocking the pain-inducing molecules to prevent pain and inflammation. This allows pets to move and exercise with less pain. Although they provide pain relief, it’s important to note the risks of side effects including damage to the liver and kidneys. It is frequently recommended that you add liver supplements like Denamarin and Liver Plus to your pet’s diet in order to help maintain liver health. A NSAID approved by the FDA for cats is Metacam but only for limited use. Long term use is dangerous and vets use it for only short periods for pain relief from arthritis and cancer as long as blood work and urine tests are okay. Methocarbamol is approved for use in dogs and cats but it is not a pain-killing analgesic but a muscle relaxant. It’s a safe medication used when pet suffers from spinal pain that is believed to be a muscle spasm. Nutraceuticals are nutritional supplements you can place in your cat’s food daily to help heal muscle, tendon or joint injuries and ease inflammation that can lead to pain. Omega-3 and glucosamine are two of the most commonly used supplements to ease pain and swelling in cats. Pain relief from nutraceuticals is not immediate, but over time, they can help your cat move easier without pain. Local anesthetics (given by injection): Used prior to some surgeries to perform pain “blocks”. Dentists may also use local anesthetics like Novocain to block nerves for tooth extractions. There are numerous other cat pain control drugs that your vet may consider and decide to use. There are numerous things like corticosteroids that are anti-inflammatory drugs such as prednisone etc. but do not control pain. Of course there is morphine sulfate available in tablet, liquid and capsule. Cats have been given the liquid formula, but most of them don’t like the bitter taste. Morphine is not FDA-licensed for use in pets but it is used for special situations. There is also Tramadol which is frequently used for cat pain control. It is helpful and economic, as well as a safe alternative, which is sometimes combined with medication like non-steroidal pain medications like Tramadol. The list goes on, so you have to discuss the options with your veterinarian and come to a mutual decision, weighing the benefits and risks. There is a new drug called Onsior that is purported to be successful in relieving pain in cats that has been approved recently by the FDA. 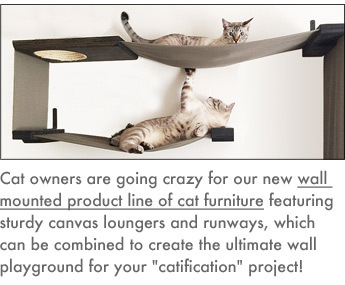 It is due to hit the USA market in a couple of months although it has been readily available in Europe for some years. It has flavored tablets for acute pain and inflammation associated with musculoskeletal disorders in cats and an injectable solution for soft tissue surgery in cats. Dosed once daily Onsior has an excellent safety profile and the drug travels rapidly through the bloodstream to the site of injury or irritation and then concentrates at the point of inflammation, while exiting the bloodstream very quickly. Its active ingredient, a drug known as robenacoxib, is part of a group of medications known as NSAIDS (reviewed above) and veterinarians have used caution when using this type of drug because of the danger of side effects in cats. However, usually NSAIDS inhibit both COX-2 and CIX-1 enzymes which can result in common side effects involving the gastrointestinal tract and the kidneys. Onsior, targets the pain-causing COX-2 enzymes while sparing the protective actions of COX-1 and is the only coxib licensed for both cats and dogs. So far, the only reported side effects are mild diarrhea, soft feces and vomiting so it remains to be seen if there will be other reports after it is more widely used. Buprenorphine is a painkiller with the brand name Buprenex. It is a synthetic opiate commonly compared to morphine but it's 30 times more potent. Buprenex relieves pain by decreasing nerve responses to pain in the spinal cord and brain. When considering cat pain control Buprenex is considered safe but it does have side effects and can be addictive. 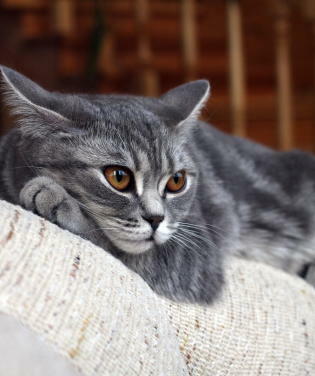 The most common side effect of Buprenex is sedation whereby your cat becomes listless and sleeps a lot more than normal. Rare instances have occurred where a feline's breathing pattern slows. Buprenex should not be combined with other medications such as antihistamines, monoamine oxidase inhibitors, tranquilizers or barbiturates because of its opiate properites. A condition your vet will check prior to prescribing Buprenex is liver function because the liver metabolizes the drug and cats with liver disease may not be able to do this effectively so it may place extra stress on an already weakened organ. In this instance Buprenex is not the best option for cat pain control. Plus, cats that are hypersensitive may be allergic to the medication. Cats suffering from suppressed thyroid gland function and Addison's disease, kidney disease, a limited cardiovascular system or have suffered a head trauma are not candidates for this cat pain control choice. We have had a lot of success with controlling L'Oreal Blaze's (one of our 6 cats) arthritic pain with Buprenex. I bought her stairs to help her get up on the spa cover where she loves to sit and look at the birds in the trees. I noticed that she had stopped jumping up there. I realized it was due to pain. Even if she got up there she had to jump down and it would be painful. Once she had the stairs she was back on the spa cover enjoying her view. I considered getting small sets of stairs for other areas of the house but then it dawned on me that there were probably medication answers for her situation at our vet's. He tried her briefly Metacam then on Buprenex which is safer for longer terms. She now scampers up the stairs without the slow, painful gait. When dealing with cat pain, beware of home remedies. When you see your cat suffering, hiding and crying under the bed, there is no home or human remedy that can alleviate his discomfort. In the poison guide by the American Veterinarian Medical Association they list human pain relievers among the most lethal toxins for small animals. Acetaminophen (Tylenol) is ranked as the most dangerous for companion animals with a rating of “Emergency”. Tylenol ingredients are broken down and detoxified by enzymes in the liver. Cats have far less of the enzymes, resulting in a build-up of dangerous toxins which will bind to, and eventually destroy, red blood cells and other tissue cells. As little as one regular strength tablet of 325mg. 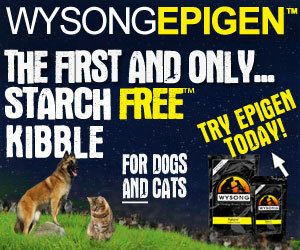 can seriously poison a cat while two regular strength tablets are likely to kill a cat. While not quite as toxic, aspirin and ibuprofen (NSAIDS) put your cat at risk for stomach or intestinal ulcers. These have a rating of “Dangerous”, particularly in a sick cat that is already being treated with other drugs. NSAIDS also decrease blood flow to the kidneys and other vital organs, thereby increasing the risk of kidney damage. 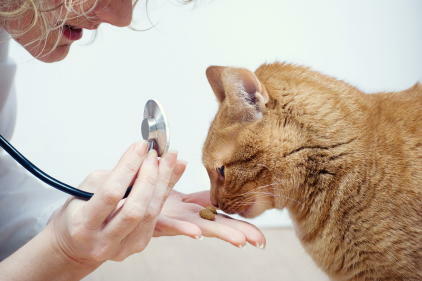 Never, never give cats medications without specific veterinary advice. Depending on how your cat is reacting to his pain, you may want to hold him, and soothe him with your physical touch, making him feel protected. Petting him or brushing his coat will encourage the release of endorphins, the body’s natural opiates, but if pain makes your cat grumpy, it’s best not to risk getting bitten or scratched. There are other treatment methods for cat pain control such as massage and acupuncture. Cat homeopathic medicine is not as controversial as it was some years ago. Alternative cat medicine is gaining some ground in recent years as we head towards greener and more natural medicine for cats. Massage can be especially beneficial if your cat’s pain is muscle related. It can ease stiffness where arthritis and joint pain are a concern and reduce the tension in muscles and ligaments which may be causing pain. It can also help eliminate muscle spasms. With acupuncture, the stimulation will induce release of endorphins and it also has a modulating and balancing effect. Nerve pathways formed by chronic pain are being shortcut through the stimulation of other nerve fibers that are given priority by the brain. The brain forgets chronically transmitted pain after a series of sessions and the self-healing processes will finally take over and reinstate a more balanced condition. Many cats tolerate acupuncture treatments well and relax during a session. Their nervous system respond very well to treatment, and results are seen reasonably fast. Some cats require sedation during the acupuncture process while many do not. See details on feline acupuncture. Ideally, a combination of conventional and alternative methods of cat pain control can help to achieve results good enough for the cat to regain a good quality of life.